You shouldn’t take for granted having a roof over your head. Just like you need regular checkups with your doctor or dentist, your roof needs regular inspections to make sure everything is intact and working well. While it’s true that an inspection may uncover issues resulting in repair work and a sizable bill, the longer you put off an inspection, the more likely it is that the repair will be more extensive and so will the bill. Roofing inspections have one primary goal in mind: to evaluate the integrity of your roof, which will also give the inspector an idea of how much longer your roof will last, and when you should be thinking about scheduling a replacement. This doesn’t involve tearing into the roof. Inspectors use infrared tools and visual inspection that allows them to determine the integrity without even touching the roof. The infrared rays locate those parts of the roof that are either higher or lower temperatures than the rest of the roof. Hot spots are an indication that heat is escaping through the roof. The inspector will also examine the roof angle and determine the length of time it takes for water to evaporate from the roof. Typically, it takes two days. Inspectors will also walk around on your roof to test its sturdiness and integrity and to look for additional weak spots or sinking that might not have been picked up on the infrared. When you’re buying a home, it’s important to make sure that the roof has been recently inspected. Replacing a roof can be quite costly, ranging from $2,000 to $12,000 or more depending on the size of the house or business and type of the roof. Even if the seller won’t pay for the inspection, the much lower fees associated with that – about $200 to $400 – are worth it. Some home insurance companies and lenders require you to have the roof inspected before buying the house. If the roof isn’t secure and a heavy snowstorm comes, or a powerful rainstorm, those companies want to ensure that they won’t have to pay for large water damages to the home. Once you own a home, you should consider having your roof inspected annually, semi-annually or after major storms. 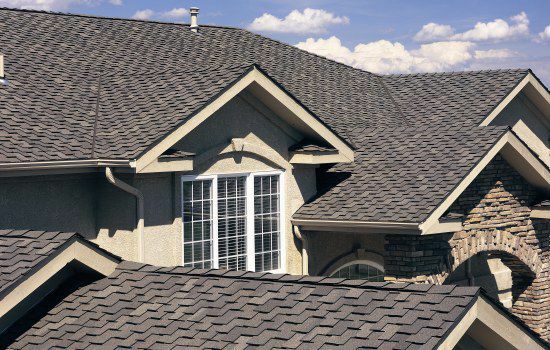 Roofing warranties often require annual or biannual inspections by a qualified professional. If you don’t follow this, you could end up voiding your own warranty. The first step to maintaining your roof is committing to professional inspections every year or every two years. You might need to change your inspection dates based on weather events, so keep in mind how nature is wearing on your roof. If you’re able to, remove debris that can get caught or stuck on your roof during the winter. This requires a ladder and careful action to ensure you don’t slip while cleaning up leaves and branches. Check your attic or equivalent for stains that could mean water is seeping through the roof into your home. Then, try to find the culprit on your roof. It could be loose shingles, moss or mold. Peeling or curling shingles mean the roof is at the end of its lifespan, so call an inspector. For moss and mold, use roof cleaners and moss removers, as well as a soft brush, to clean the area. Avoid using power washers, which can strip shingles of granules that protect them from UV rays. You should also be cleaning your gutters and downspouts. Wear gloves and dig in to remove the debris. Scrub away any dirt or mold and use a garden hose to rinse out the rest of the debris. Once these areas are clean, check for paint peeling, fascia rotting, holes and cracks, and missing gutter sections or hardware. Fix up the area as needed. Roofing inspections are a key part of home maintenance, helping you catch signs of wear or damage early on before they become larger issues. Licensed roofing contractors can easily and quickly assess the state of your roof and help advise you on any necessary repairs so you can keep the rest of your home safe and protected from the elements.